About a year ago the team here at Moore Farms Botanical Garden decided that it would be best to have a specific area to conduct our green roof research, so we proposed a green roof trial garden. 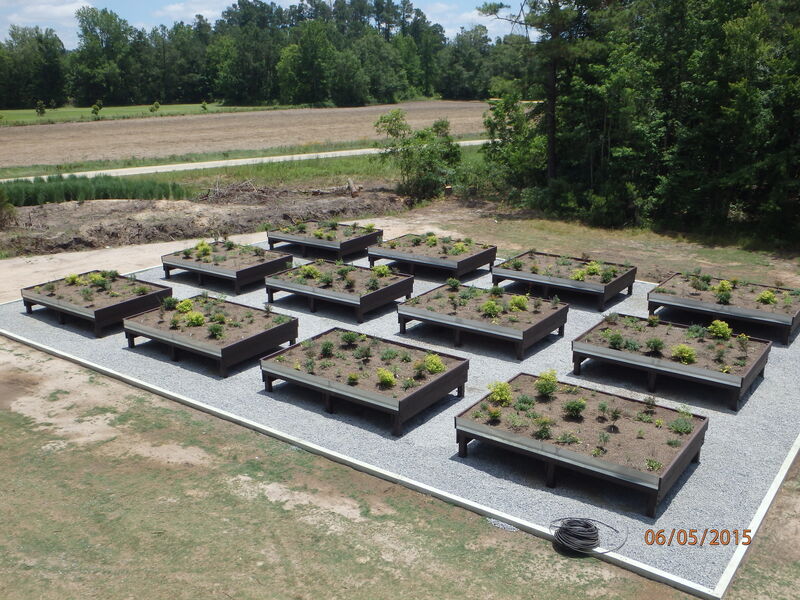 In the past our plant trial research took place on our maintenance facility’s green roof, where we were investigating species that perform well under the conditions of that green roof. While this green roof is in excellent condition, it doesn’t mimic the majority of green roofs commonly found in the industry. We heavily maintain the roof, plant annuals, irrigate it as desired with recycled water, not to mention the slope and growing media characteristics and depth. However, we wanted to refocus our attention towards investigating species that perform well on a typical green roof (minimally sloped, 4-6 inches of growing media with low organic matter, and minimal irrigation). Countries like Europe and Canada along with many northern U.S. cities have a relatively mature green roof industry with tested and even written guidelines, standards, and practices. This includes a plant palette which has proven effective for most of those climates. While most green roof guidelines and practices translate well across climates, plant palettes, however, do not. Commonly recommended sedums and other succulents used on 4-6” green roofs rarely perform well in the southeast and similar climates. Our ultimate goal is to produce a proven plant list that we can recommend, with confidence, to the green roof industry and interested professionals for use on green roofs in such climates. Our first round of plants we will trial is in Table 1. Table 1 List of trial plants for the green roof trial garden. 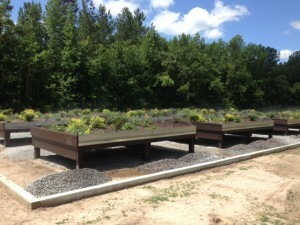 We broke ground on the green roof trial gardens in March of this year and finished in May. 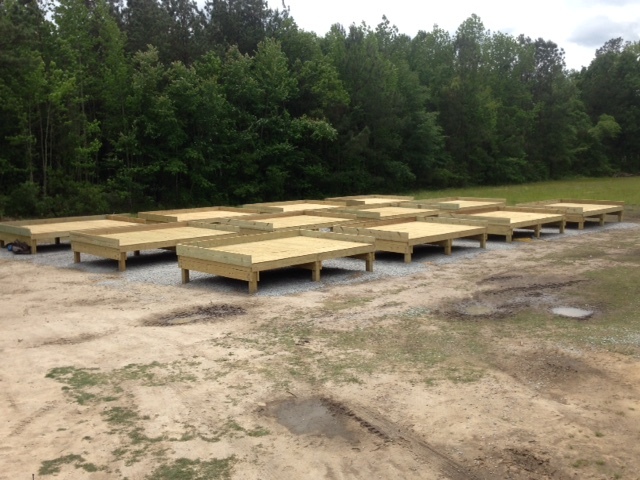 Twelve structures measuring 10’ x 15’ were constructed out of wood then comprised all typical layers of a standard green roof (Photo 1, 2, 3). Six structures have 4” of growing media while the other six have 6” of growing media (Erth-HydRocks Semi-intensive Green Roof Mix). 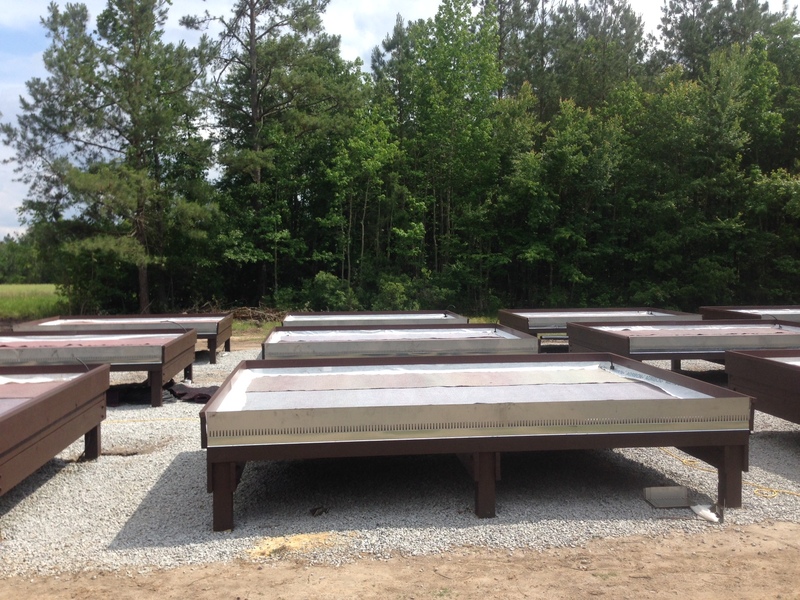 These 2 growing media depths represent the most common depths found on green roofs. 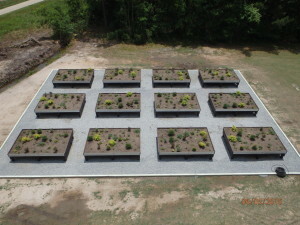 All structures were planted with the exact same number and species of plants to allow for replication. Structures are irrigated with overhead irrigation because of its more uniform habit (Photo 4 and 5). While drip irrigation is considered more water-wise and efficient, it often does not cover the area uniformly leading to dry zones. Most green roofs are installed with small plants and plugs and if each plant is not near the drip zone or an emitter it often struggles or dies. 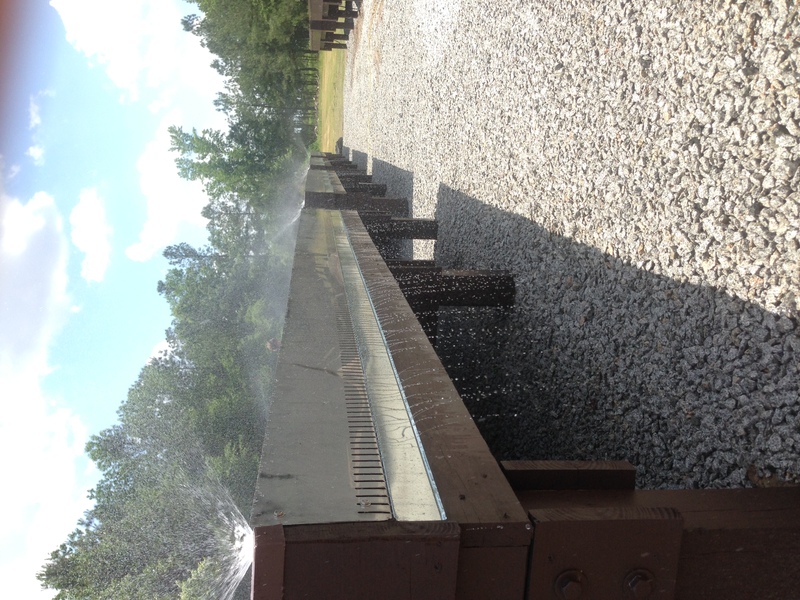 Since we are testing plant performance we want to ensure all plants receive uniform irrigation. 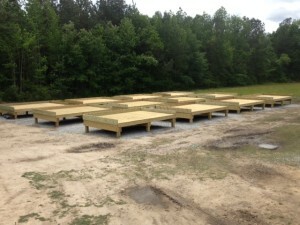 Four pop up sprinklers are on the corners of each structure. 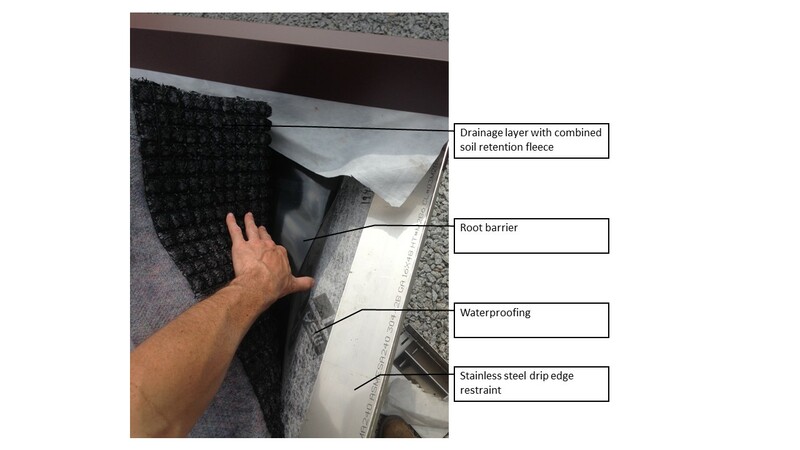 Notice in photo 5 how the stainless steel drain edge acts as a soil restraint while also allowing water to drain from the structure. 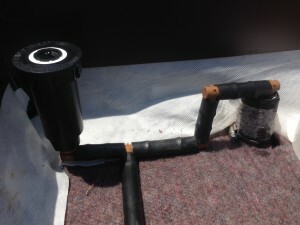 Once water percolates through the plant and growing media layers, it enters the drainage layer. This drainage layer creates an air space where water can just follow the natural slope of the roof and drain (our structures have a 2% slope). We will monitor the growing media’s temperature and moisture to get an understanding of the growing media conditions (Photo 6). 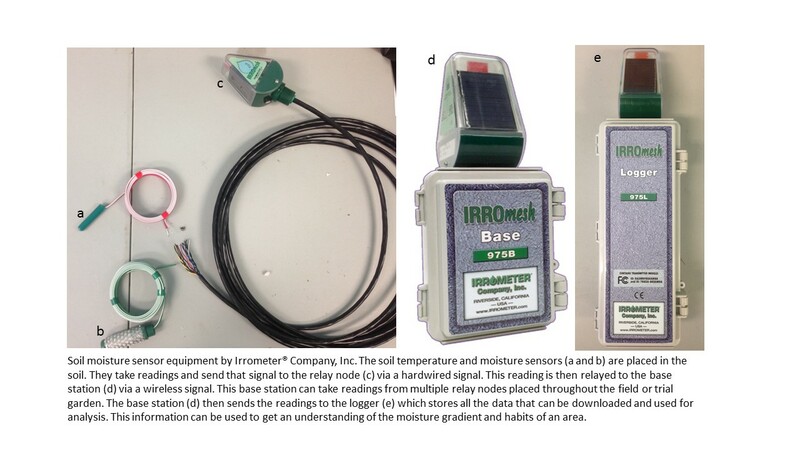 Photo 6 describes how the Irrometer soil sensor equipment works. Both our maintenance facility green roof and the green roof trial gardens are equipped with the same system. 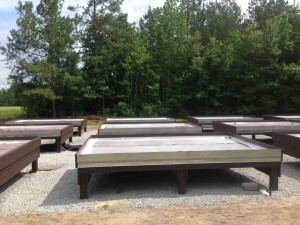 It will give us a comparison of how the green roof trial garden growing media is behaving in comparison to the actual maintenance facility green roof. We plan to mimic common industry practices for irrigation amount and frequency so that our research translates well to the industry and practical use. It is safe to say that many plants will perish during the trial but that is expected from plant trials. We plan to let the trial run for at least 2 years before we make conclusions about plant performance. However, we do plan to conduct write-ups and analysis periodically. Check back in a year to see how they have performed!